These days, it’s not uncommon for patients to wait days or even weeks to see a doctor. When they finally do get an appointment, they will often endure hours of sitting around a crowded waiting room with other sick patients, only to spend a scant few minutes with an overworked physician. Also known as boutique healthcare, concierge medicine refers to an arrangement in which patients pay a monthly fee in exchange for enhanced services such as home visits, email consultations, and same-day appointments. While the typical GP sees thousands of patients a year, a concierge physician’s roster tops out at around 500. As patients grow increasingly frustrated with managed care, more individuals are turning to concierge medicine, and concierge nursing, for a higher standard of treatment. Post-surgical recovery – which involves assisting patients who have undergone a traditional or plastic surgery procedure. Concierge nurses often change dressings, prepare meals, help with hygiene, and provide transport to and from doctors’ offices and physical therapy appointments. Illness and injury support – from repositioning bed-ridden clients to helping them perform activities to enhance range of motion, concierge nurses provide necessary assistance following an illness or injury. Help at doctor visits – as a concierge nurse, you may accompany patients to their doctors’ offices, helping them relay symptoms, understand diagnoses and medication instructions, and ask the right questions of physicians. Additionally concierge nurses offer patient advocacy services, ensuring clients have access to the care they need from GPs and specialists. 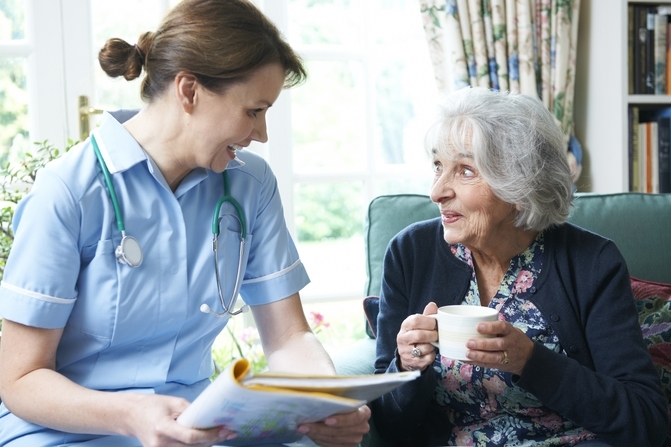 Travel nursing care – concierge nurses may accompany patients on business and personal trips to help manage their care and treatment while away from home. Medication assistance – concierge nurses help ensure medications are taken in the correct quantities and at the designated times. Blood draw services – ideal for homebound patients and seniors who would prefer not to visit a clinic for their phlebotomy needs. If you’re an RN with entrepreneurial sprit and an interest in providing more personalized care, concierge nursing may be a great option. While nurses in doctors’ offices and hospitals are often overworked, rushing through basic tasks and patient consultations, concierge nurses have the luxury of spending as much time as necessary with their charges. They can feel confident knowing every patient is receiving the most personalized and specific care in the comfort of her own home. Additionally, concierge nursing can be incredibly lucrative. According to one source, the average concierge care nurse earns $55,000 a year, though RNs and nurse practitioners in higher-income cities and towns may earn almost twice this amount. If you’re an experienced RN with the urge to strike out on your own, concierge nursing may be the way to go.